Mrs. Strawbridge talks about her experience reading the Southern Highlander and how it touched her heart. 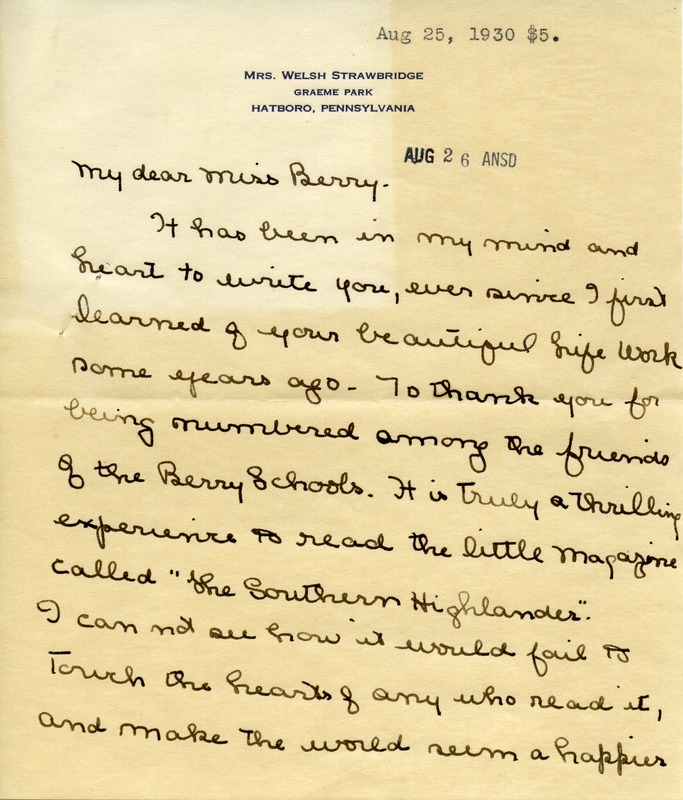 She is thankful that she can be counted among the number of friends of the Berry Schools. 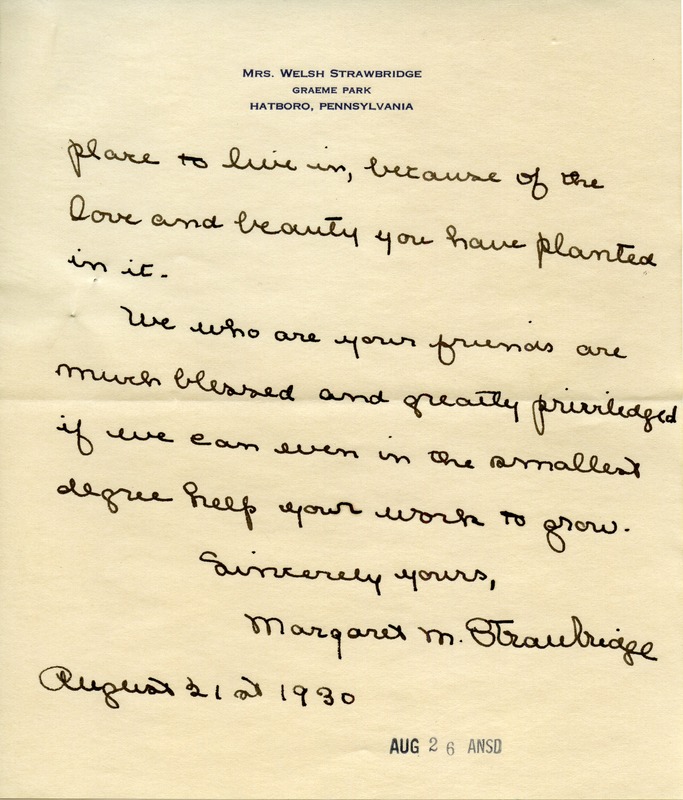 Margaret M. Strawbridge, “Letter to Martha Berry from Margaret M. Strawbridge.” Martha Berry Digital Archive. Eds. Schlitz, Stephanie A., Jordan Brannen, Chelsea Risley, Ashley Schucker, et al. Mount Berry: Berry College, 2014. accessed April 21, 2019, https://mbda.berry.edu/items/show/14065.